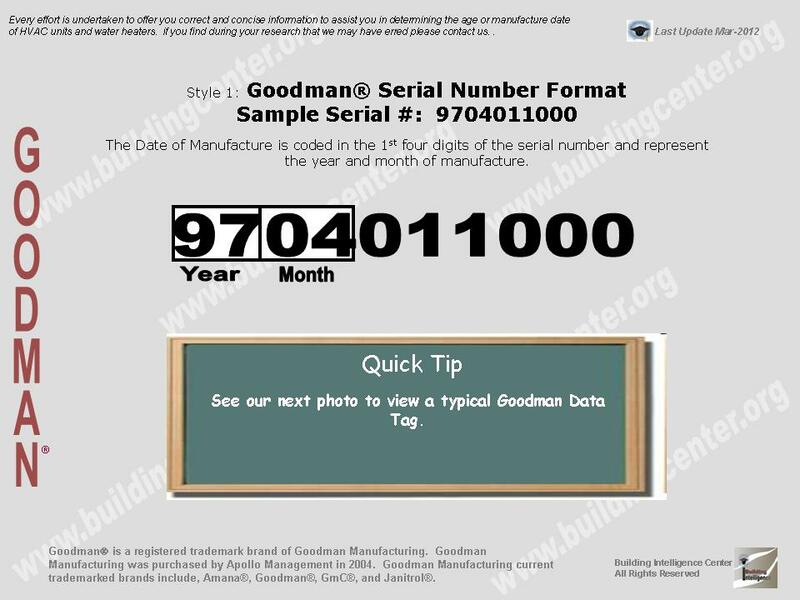 How to determine the date of production/manufacture or age of Goodman Manufacturing® HVAC Brand Systems. 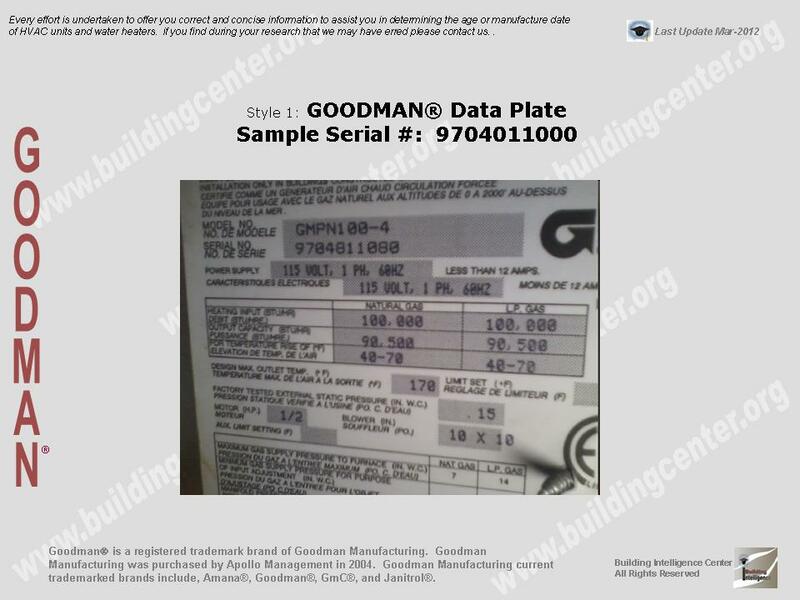 The date of production/manufacture or age of Goodman Manufacturing® brand HVAC equipment can be determined from the serial number located on the data plate. Parent Company: Goodman Manufacturing Company, L.P.